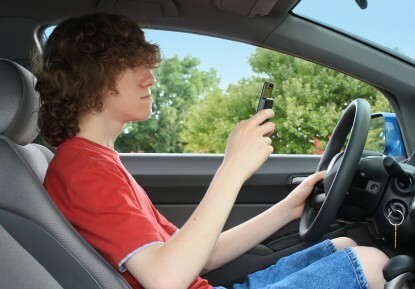 In March, the Texas House of Representatives voted with a majority of 102-40 for a ban on texting while driving. This brings Texas in line with most of the nation’s states in a stricter crack down on drivers who use cell phones while driving. The attorneys at Dashner Law have been watching this bill closely and want to keep our clients informed about the provisions of the bill and how this affects you. There were several key provisions listed in the bill that creates a compromise with cellphone use in vehicles. For example, drivers can message while stopped like at a light or while stuck in traffic. Police officers are not permitted to take a driver’s phone during any stop to check the driver’s text history. Also, drivers cannot be ticketed if they are using their cell phones for GPS purposes. This seems to take into account legitimate phone use while driving and not putting drivers in the hot seat during traffic stops. Texting while driving has become a big safety concern on the roads. Texting and driving is a big source of car accident injuries, some fatal. Research has shown that bans on texting and driving have decreased fatalities by three percent. While that doesn’t sound like a large number, that is 90 lives per year saved in Texas alone. While there are many who oppose the bill, citing personal liberty concerns, there is ample evidence that this bill could save lives. The previous texting ban passed the house in 2011 but was vetoed by Gov. Rick Perry. At this point Gov. Greg Abbott states he is not sure if he will veto or not. We will be following this bill and will keep you in the loop about any new developments. If you have been involved in a car accident and you believe that person was negligent, call Dashner Law at 972-793-8989 or 817-864-9980 today to schedule your free consultation.